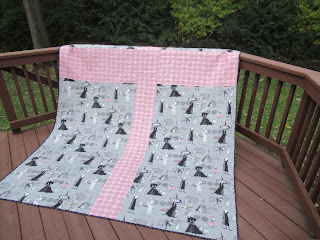 I have been obsessed with the Ghastlie fabrics by Alexander Henry, since they first his the market in 2009. 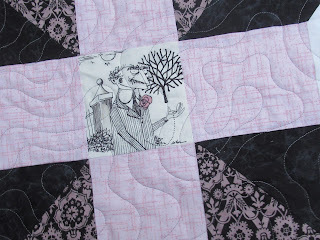 I have grown to love. 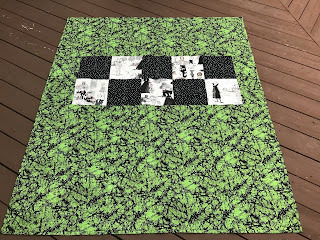 using pantograph desing I selected called "Malachite"
Made at Ocean Isle Beach, NC while staying oceanside in the winter of 2018. My husband, Phil though the fussy cut blocks looked like windows and name this one! 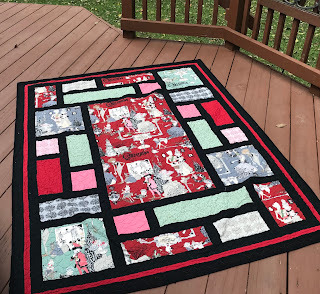 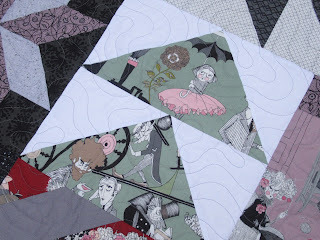 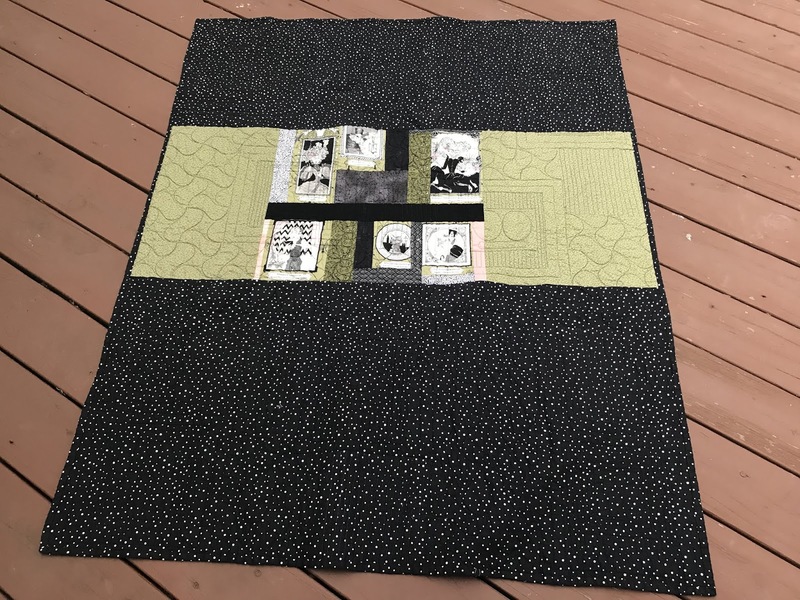 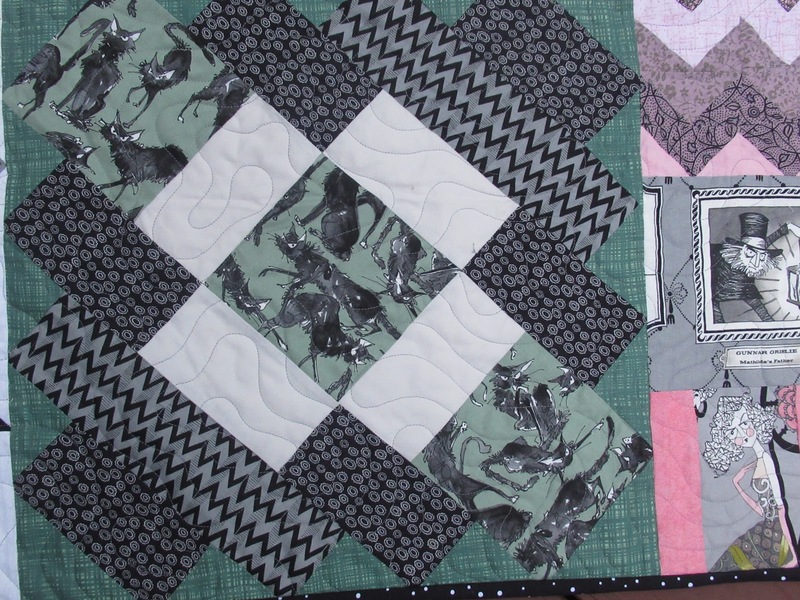 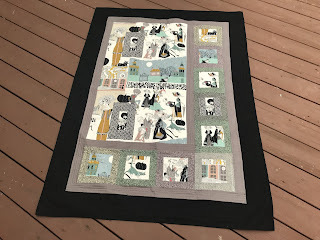 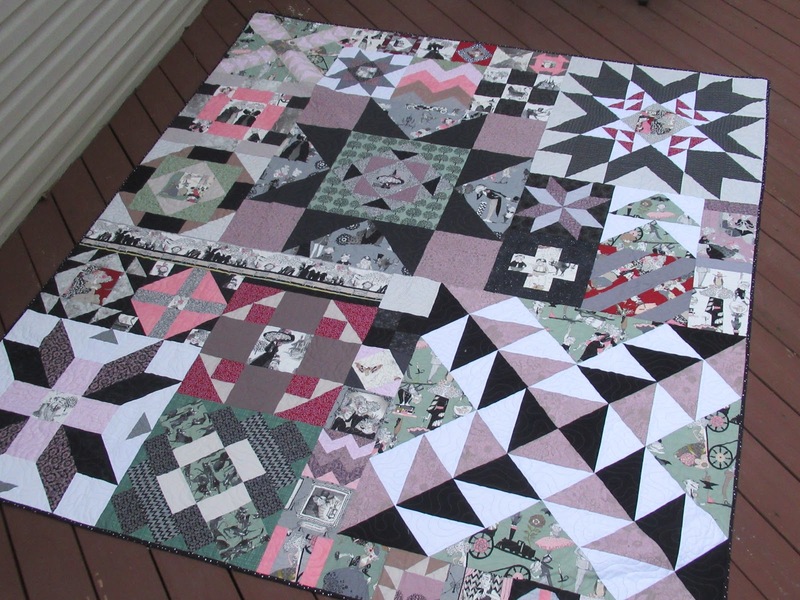 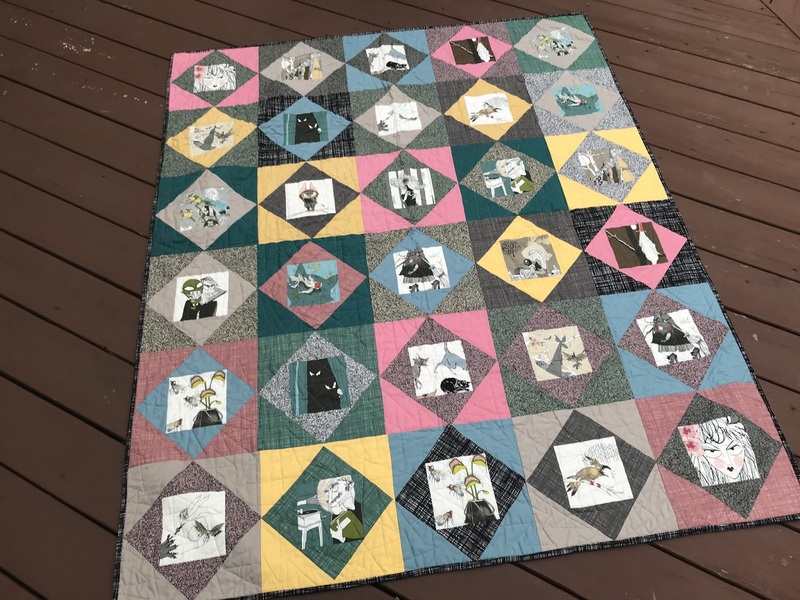 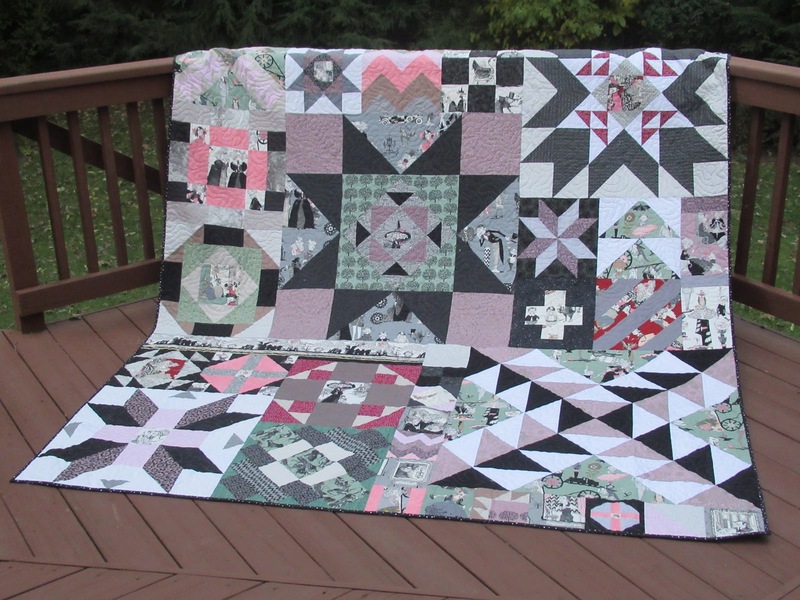 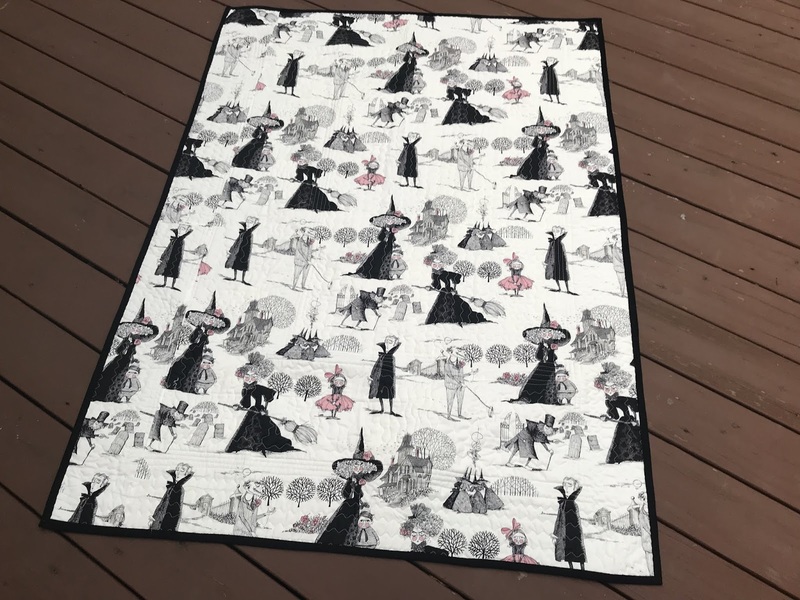 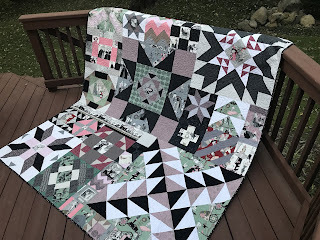 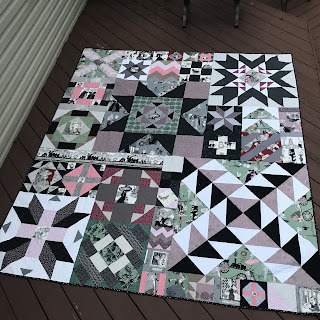 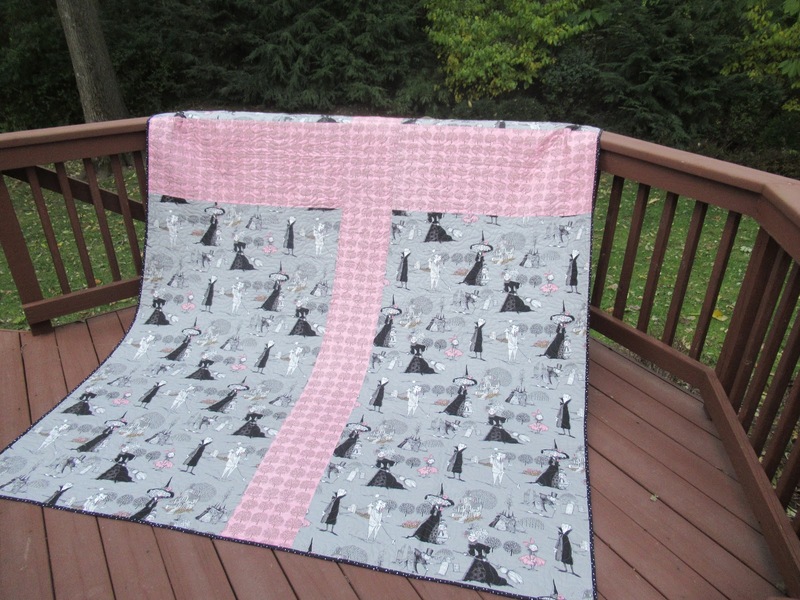 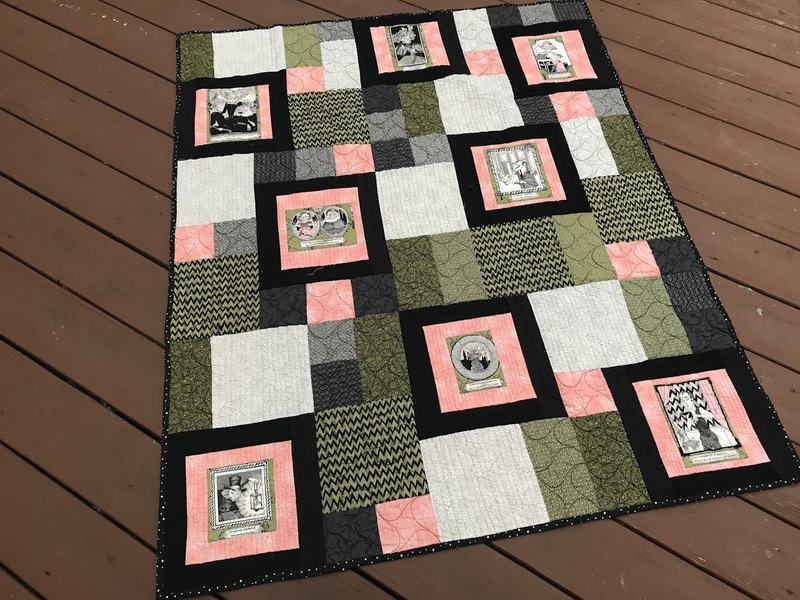 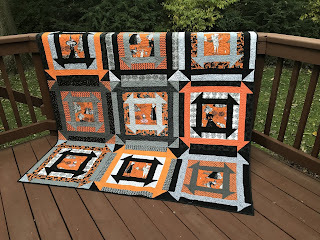 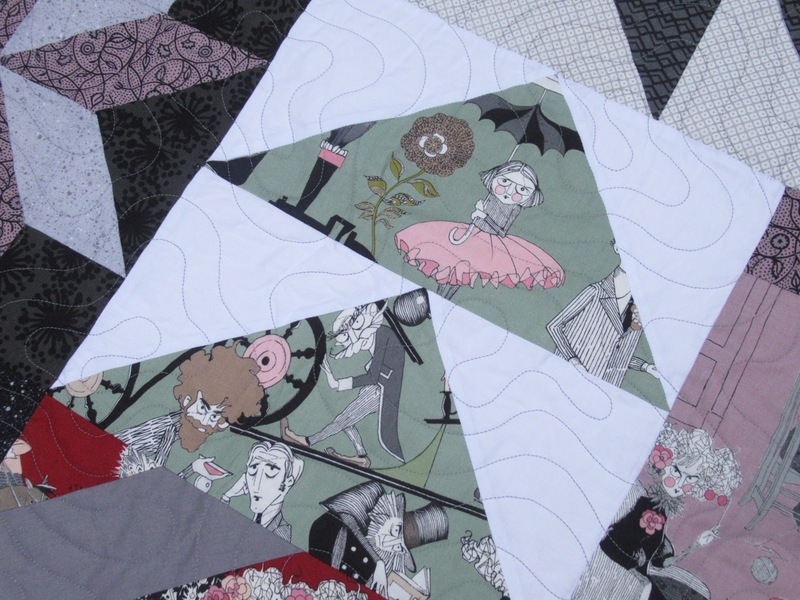 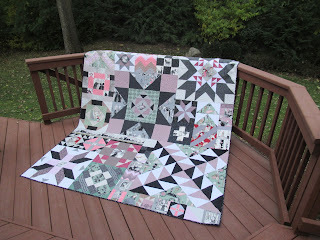 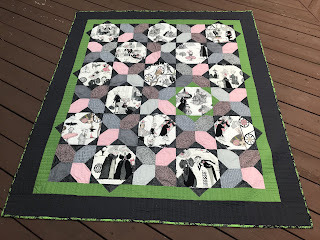 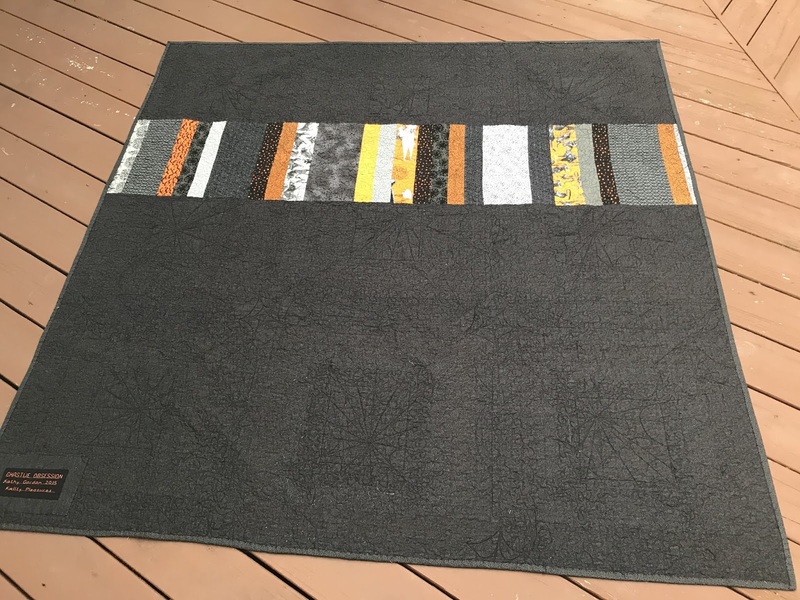 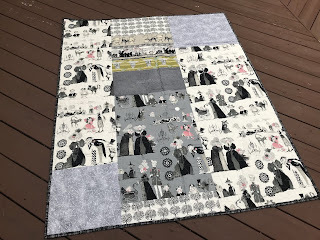 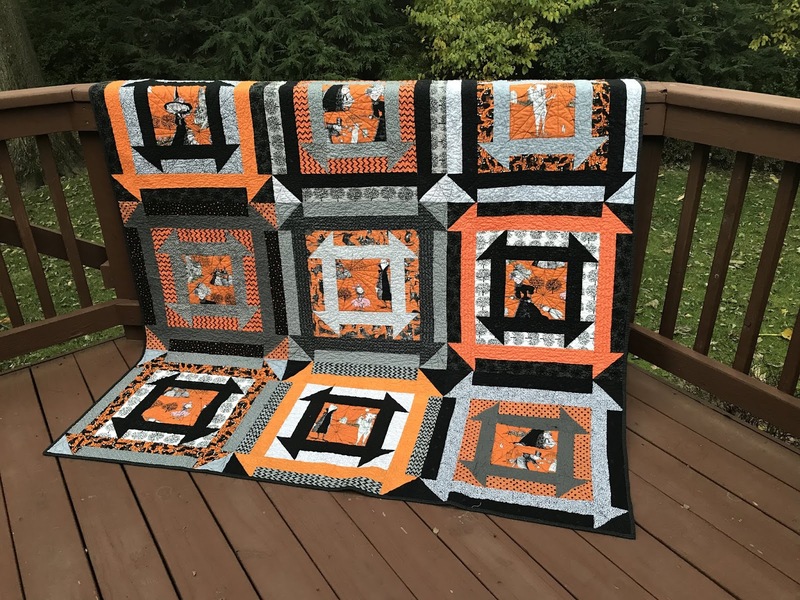 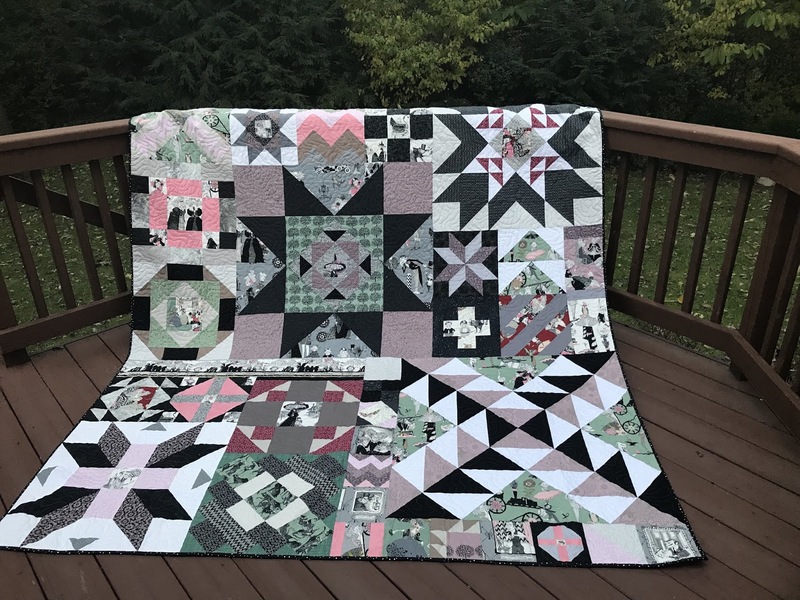 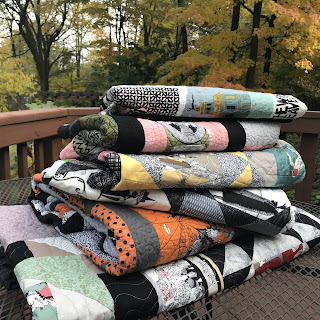 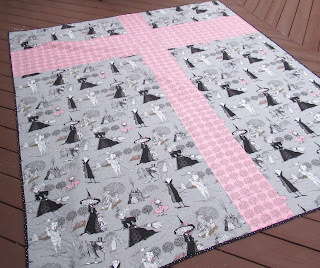 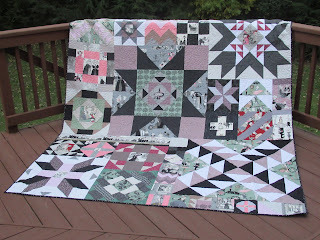 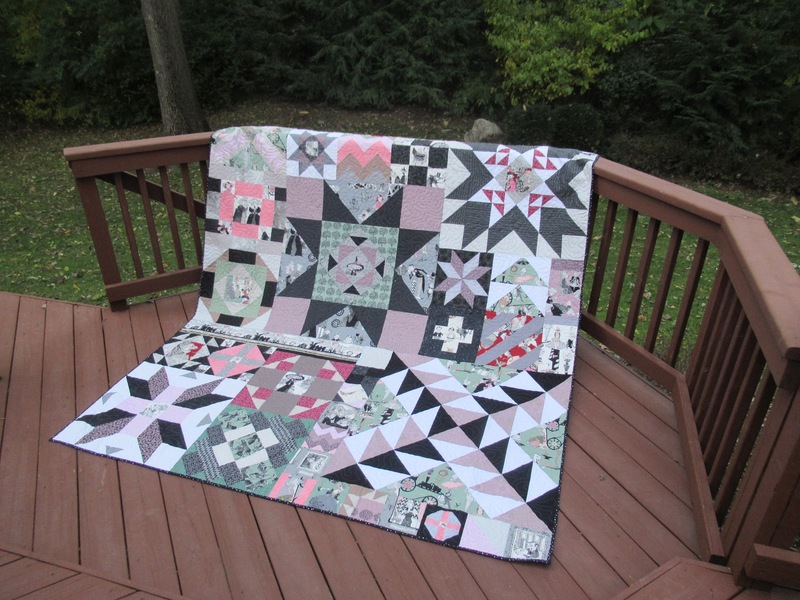 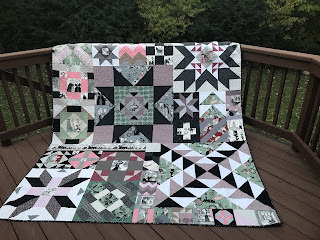 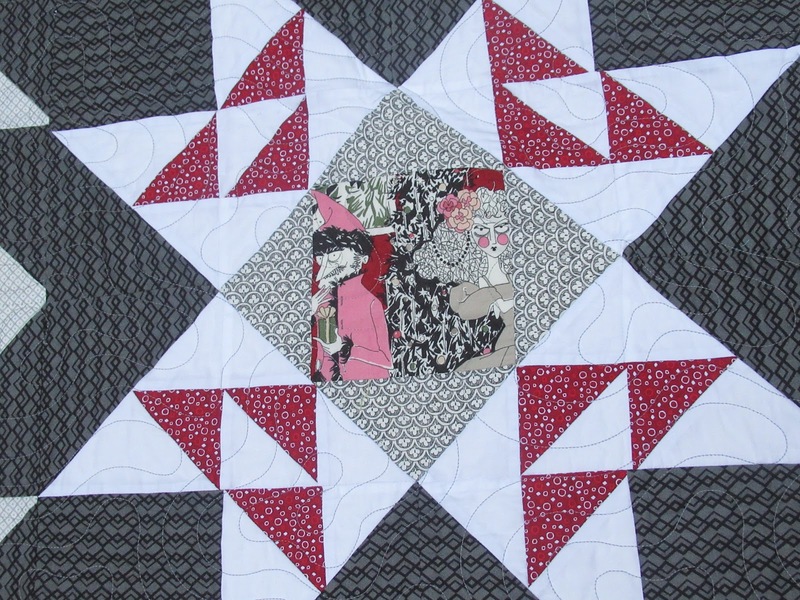 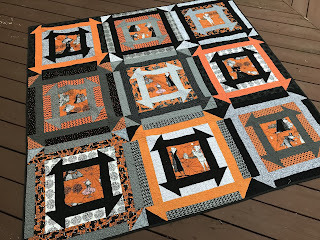 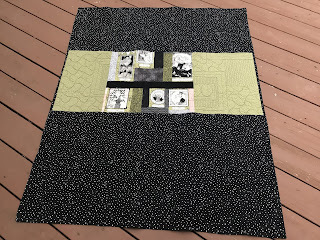 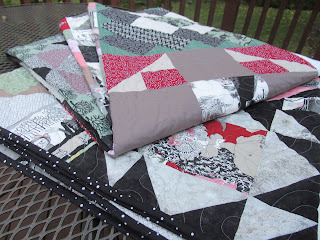 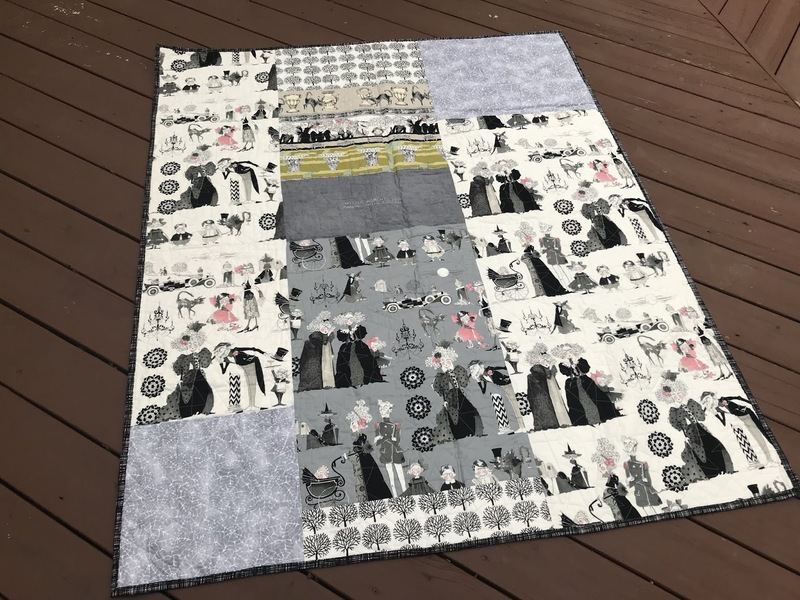 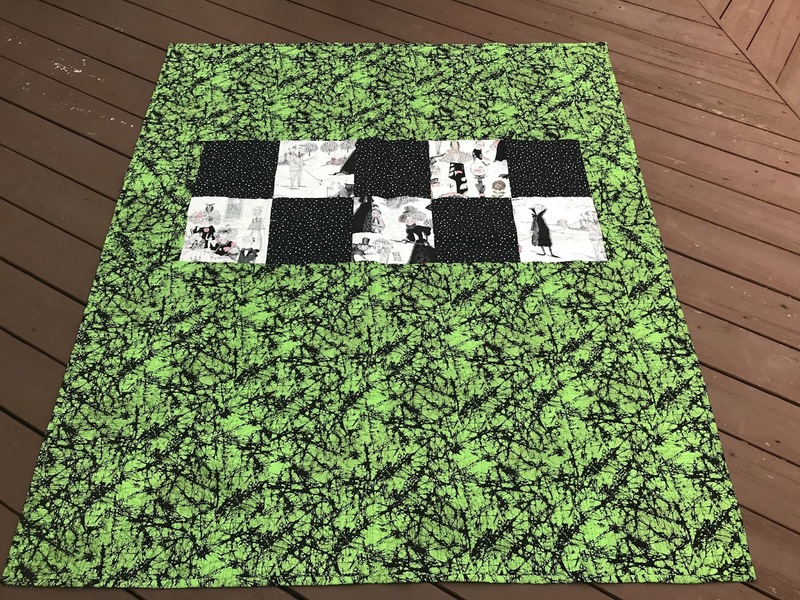 Backing is a combination of left over Ghastlie blocks set in a Green/Black Halloween print pulled from my stash. 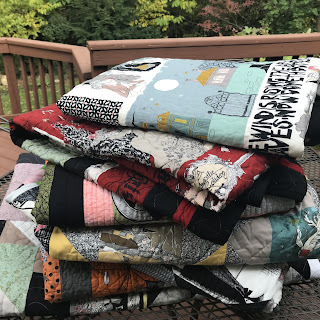 and Ghastlie coordinating prints, with some solids from my stash. A collection of Ghastlie prints from my stash.